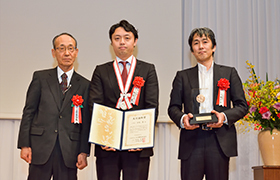 The Okawa Prize, Okawa Publications Prize and Research Grant Presentation Ceremony was held on March 2, 2016 at ANA InterContinental Tokyo. 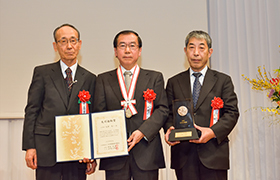 Dr. Junichi Tsujii (Director, Artificial Intelligence Research Center, National Institute of Advanced Industrial Science and Technology) and Dr. Jaime Carbonell (Director, Language Technologies Institute, Carnegie Mellon University) won the Okawa Prize 2015 for their contributions to research in computational language processing. *For more information on their career and achievements, click here. 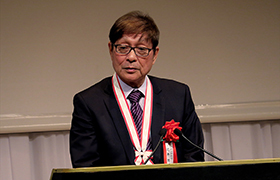 �"Dressed Photon�" (authored by Dr. Motoichi Ohtsu, published by Asakura Publishing Co., Ltd.) and "Will Artificial Intelligence Surpass Human Intelligence?" (authored by Dr. Yutaka Matsuo, published by KADOKAWA Corporation) received the Okawa Publications Prize 2015. �"Dressed Photon" explains new findings in the field of nanophotonics, with expectation of applying it to various technologies in the future. �"Will Artificial Intelligence Surpass Human Intelligence?�" widely covers from the history and the future of AI to the effects that AI has on the society. Will Artificial Intelligence Surpass Human Intelligence? 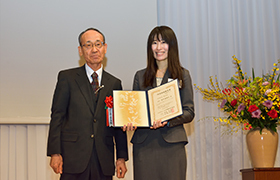 The Okawa Research Grant was awarded to 24 researchers in Japan as well as 8 researchers from China and South Korea. 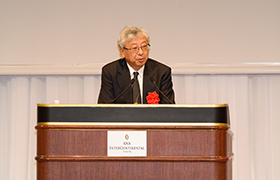 In the Presentation Ceremony, Dr. Motoshige Ito (The University of Tokyo) gave the lecture entitled �"Economic Outlook and Industry." 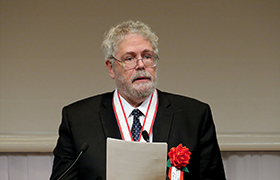 With the aim of advancing further development of information technology and promoting international academic and cultural exchanges, the Okawa Foundation will continue the activities of awarding prizes and research grants.